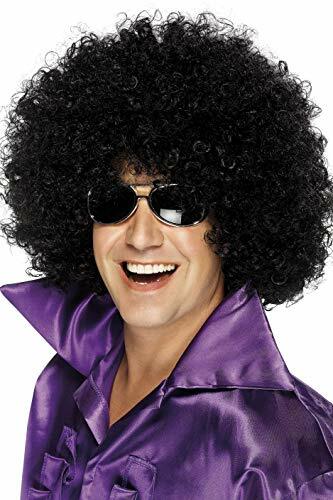 Forum 70's Disco Deluxe Jumbo Afro Wig, Black. The right wig is the perfect way to complete your favorite look. 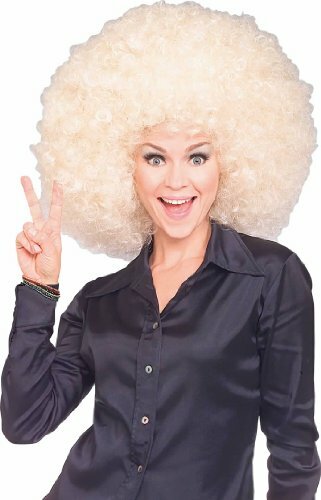 This wig is designed to fit most teens and adults. 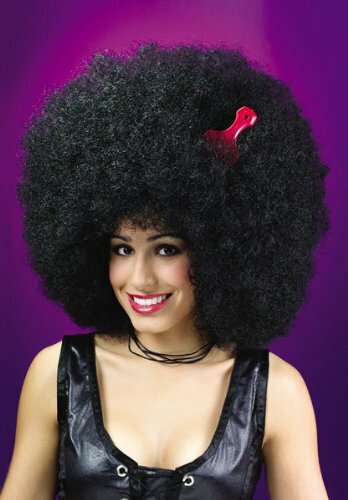 Costume wigs will require some amount of styling to obtain desired look. Forum Novelties has been a leader in the costume industry, as well as the joke, trick, magic and novelty gift item business for more than 30's years, we offer thousands of costumes and costume accessories ranging from baby costumes to adult and plus-sizes, count on Forum for all of your Halloween, luau, Christmas, mardi grass and St. Patrick's day supplies, From funny to frightening, Forum has it all! 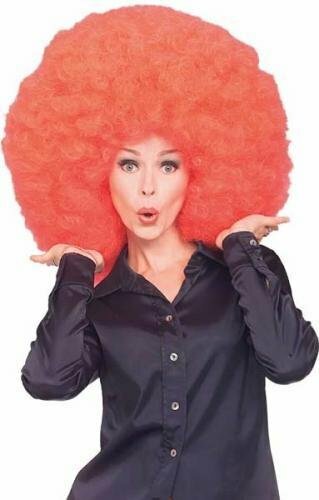 Become an instant hit at any Halloween party this year with a classic Afro wig! 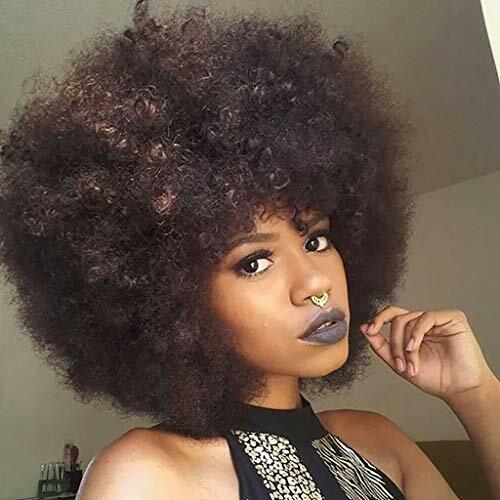 the Afro has so many uses through its life, anything from a clown, to your average hippie in the 70's! 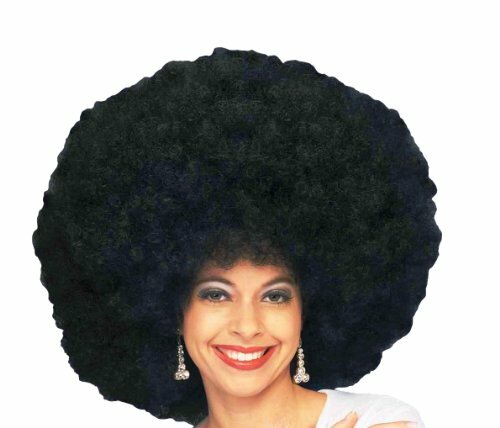 what ever it might be, this Afro is sure to give you the extra kick you've been wanting to achieve in your costume! this wig is affordable and huge! 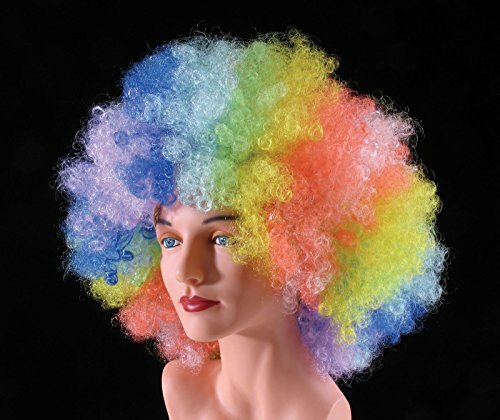 featuring: rainbow colored oversized Afro wig. 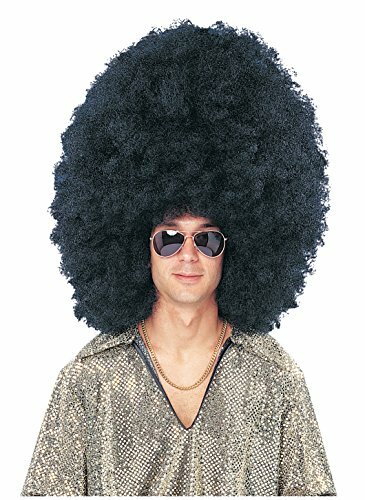 This Super fro, made of polyester fibers, is more realistic looking than others made of cheap plastic fibers. 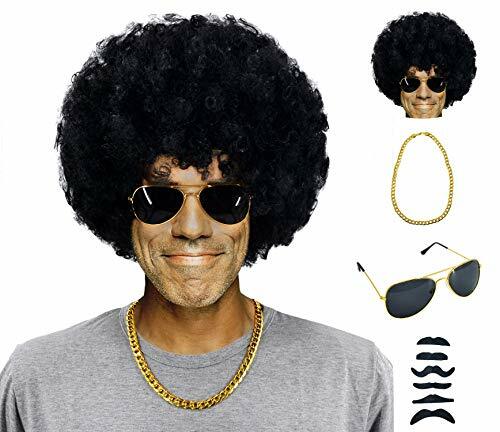 Perfect for disco, 60's, 70's, 80's, clown, and many more costume ideas. Great for Halloween. One-size fits most adults. 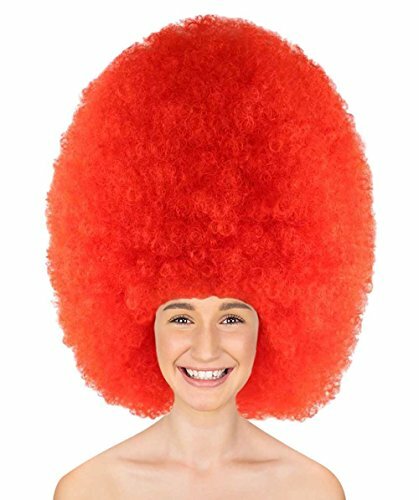 Includes: (1) Star power ridiculously huge clown Afro wig multicolor one size (adult).